Celebrates hometown pride, honors our philanthropic heroes and inspires citizens to be generous in time, talent and resources. The annual Generous Cape Reception cultivates community pride and generates a spirit of giving by recognizing fund holders, donors, and legacy society members who have generously supported the Cape Coral Community Foundation. Proceeds raised at the fundraising event benefit the Cape Coral Community Foundation’s Nonprofit Education Fund, a program that gives local nonprofit organization’s staff, board of directors and volunteers the opportunity to attend educational seminars that will help them learn how to raise even more to benefit the community. 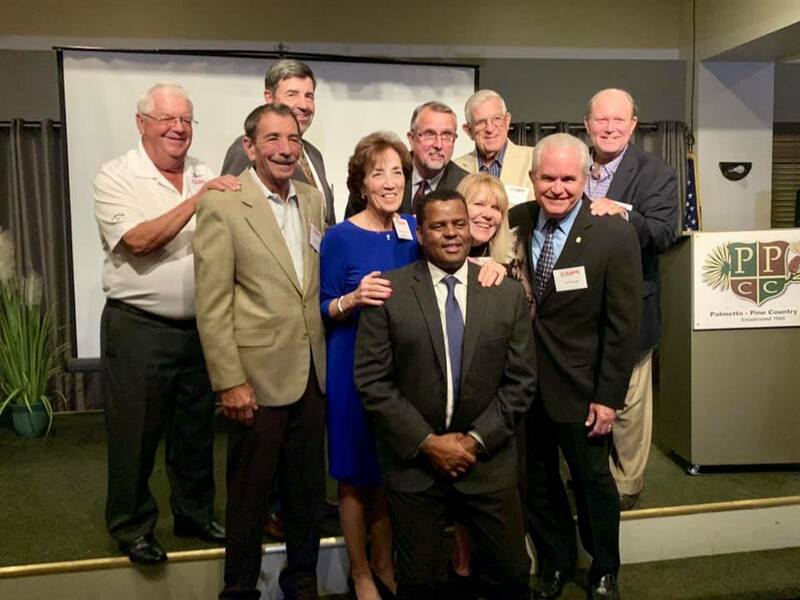 The 2018 Generous Cape Reception took place on Wednesday, Nov. 14, 2018, at the Palmetto Pines Country Club in Cape Coral. Karen Mosteller, Markham, Norton, Mosteller, Wright & Co.
To view photos from the Generous Cape Reception, click here. Lee Pitts Live interviewed business leaders at the 2018 Generous Cape Reception. To watch the videos, click here. See what makes Generous Cape so great. Click here to view photos from the 2017 Generous Cape Reception.